It’s official, you can now use Time Machine with a USB drive attached to your Airport Extreme, don’t rush out and buy a Time Capsule just yet! You can even have multiple USB drives connected to a USB hub and use a different drive for different computers. 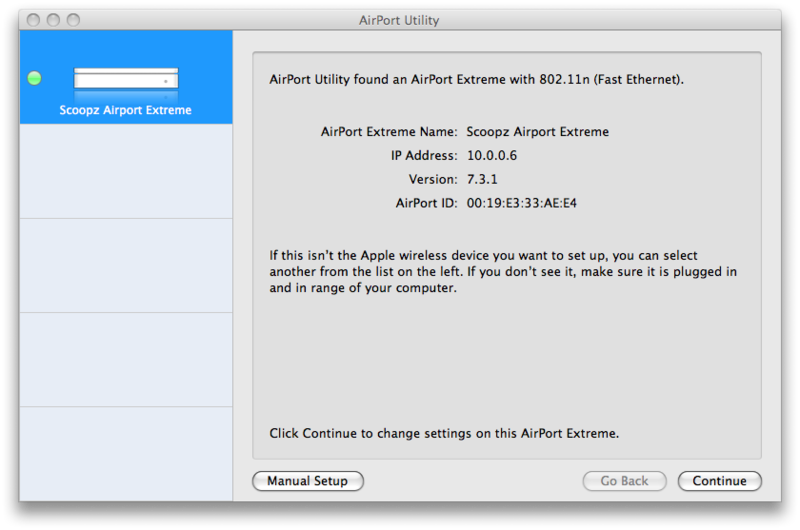 Apple have released several updates for the Airport Utility, Time Machine and Airport Disks. 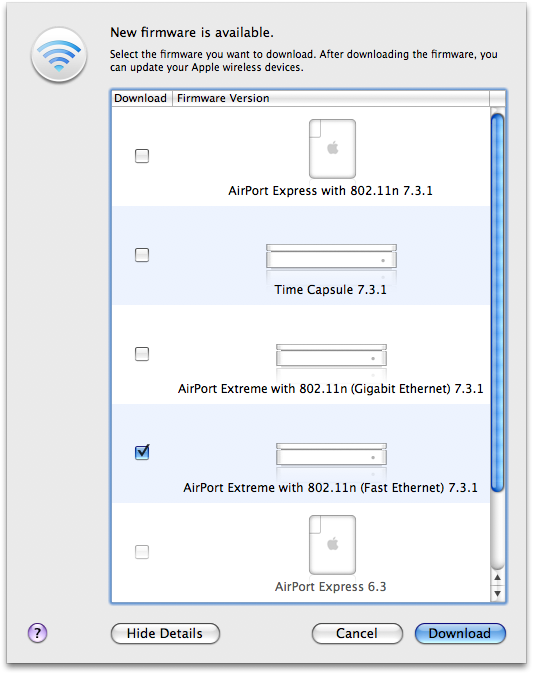 Apple annoyed a large number of Airport Extreme owners when they released the final version of Leopard with Time Machine. 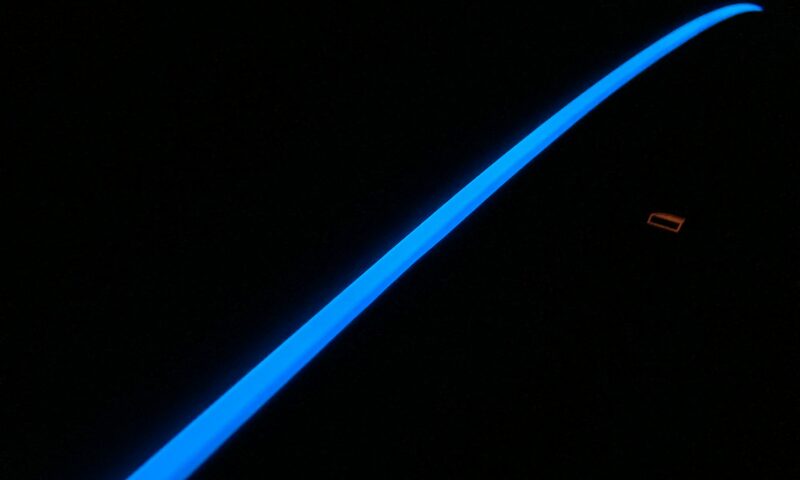 Beta versions of the operating system allowed Time Machine to select a USB hard drive connected to the Airport Extreme Base (AEB) station as its target drive. By the time the final release of Leopard hit the streets, this functionality had been stripped out and you could only use Time Machine with a USB hard drive connected directly to your machine or with the up-coming new Time Capsules, which in essence are just an Airport Extreme with a SATA hard drive strapped into the unit. Many people came up with “fixes” or “tweaks” to get Time Machine working with their AEB but I decided I’d fork out for a new Time Capsule. Fortunately for me my local Apple reseller still hasn’t had any Time Capsules delivered, and with the latest firmware update for my AEB I’ll be saving my pennies for something else as I have all the Time Capsule features with my Airport Extreme now. First thing is to run the software update utility and download all the updates, which will then require a restart. It’s quite important that you restart at this stage. 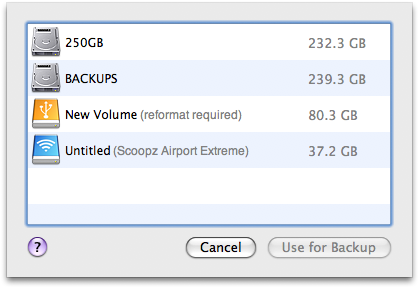 See the bottom entry….Untitled (Scoopz Airport Extreme). Thanks Apple! 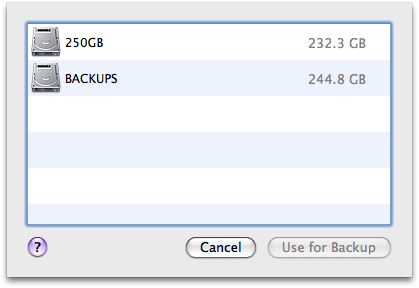 All I need to do now is buy a large USB drive and I’m all set. I have just dug out an old USB hub and connected that to the USB port on the Airport Extreme. 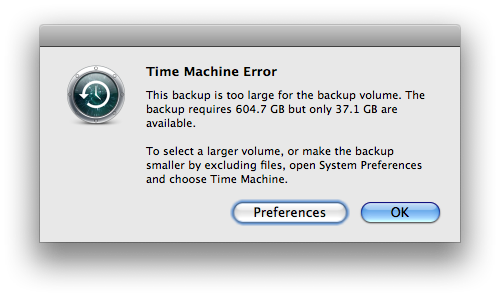 I then connected the 40GB drive and a 280GB drive and when choosing a Time Machine location you can choose from either of the connected drives. This is ideal for me as I can now use up all the smaller drives I have lying around and have a dedicated wireless TimeMachine drive for my MacBook Air, one for my MacBook Pro and I’ll need to get a bigger one for my Mac Pro. Neil?! You’re not dead, are you? Next PostNext Best keyboard/mouse combo for Apple users?